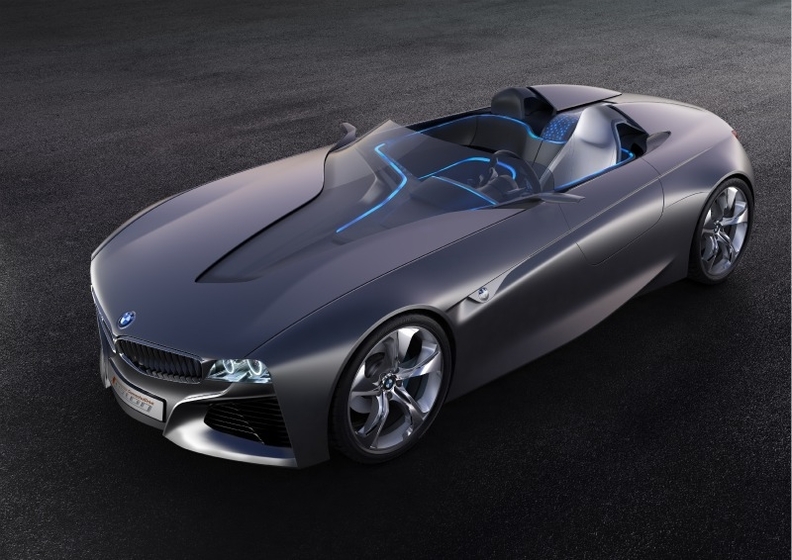 BMW's two-seat roadster concept combines a futuristic design with infotainment innovations. BMW AG will unveil a roadster concept at the Geneva auto show next month that combines a futuristic design with infotainment innovations. BMW said the concept called VisionConnectedDrive has features that show how intelligent networking will enhance people's driving experience in the future. The concept has a head-up display that places a 3-D display of key information in the direct sight line of the driver, eliminating the need for the driver's eyes to refocus. "The display allows the real view to be overlaid with virtual information, highlighting hazards allowing the driver to assimilate all of the information quickly and take appropriate action," BMW said in a statement on Thursday. 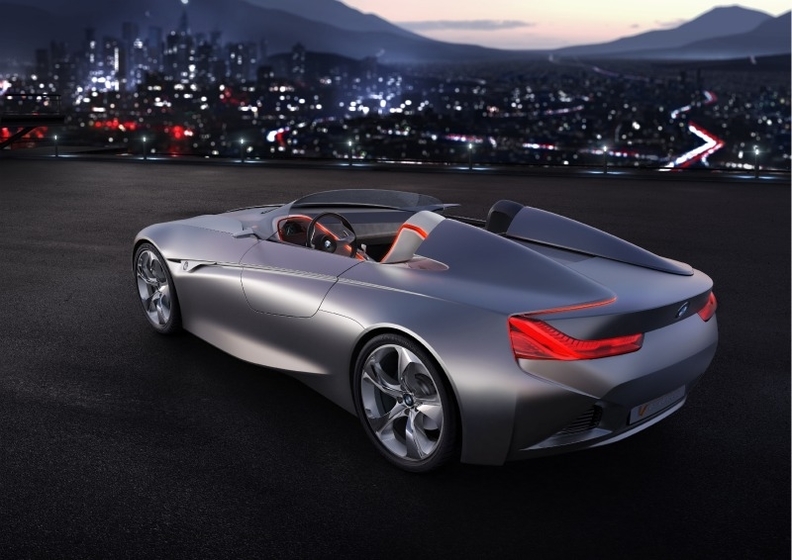 BMW's Vision ConnectedDrive shows design cues for a future roadster. The concept's passenger has an information display, out of the driver's field of vision, allowing the passenger to evaluate information, music or navigation details and forward them to the driver's instrument panel. Among other innovations on the concept are antennas instead of wing mirrors that transmit information to the outside world and capture navigation data. The antennas assist in monitoring traffic situation and the environment around the car.